In the days following the sad and untimely death of Phil Everly, one of the musicians who was regularly interviewed was guitarist Albert Lee. I’m willing to bet that most people watching and listening had never heard of Albert Lee, despite his long relationship the Everly Brothers. The fact that he had decided early in his career to play a style of music, country, that has rarely, if ever, been fashionable in the UK meant that he had to move to the USA before achieving real recognition, joining the Crickets in 1974, then replacing the legendary James Burton in Emmylou Harris’s Hot Band in 1976. Anyway, for a few days in early January 2014, all of the old Everly Brothers songs were played across the media. 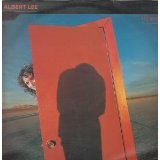 I’m always happy to hear old classics reach a new audience, but the contrarian in me wanted to hear Albert Lee again, so I dug out my old vinyl copy of his second solo album, “Hiding”. Somehow, in 1979, a single from this album managed to grab a bit of airplay, probably as a result of a particularly persistent plugger, or perhaps it was just a bit of a novelty. “Country Boy”, which opened the album, wasn’t ever going to win an Ivor Novello; it was a lyrical throwaway which showcased Albert Lee’s stunning guitar virtuosity. Throwaway or not, it grabbed my attention immediately and I scuttled off to BG Forbes to buy a copy of the album. Then back to the flat as quickly as possible to introduce vinyl to stylus while avidly reading all of the credits and sleeve notes (even an insert in this case) while listening to the album. I’ve bought many albums on the strength of one song, and I’ve been disappointed almost as many times; nothing else on “Hiding” sounded like “Country Boy” but that didn’t matter because they were all great songs. Looking at the playing and writing credits, there were a few surprises, even with my limited knowledge of the country scene at that time. Names like Emmylou Harris and Don Everly stood out even then, but looking back with a historical perspective and greater knowledge, Buddy Emmons, Glen D Hardin, Ricky Scaggs, Rodney Crowell, Hank DeVito and Buddy Emmons were highly-respected country players at that time. More of a surprise was the inclusion of songs and performances by Chas Hodges and Dave Peacock who, after nearly twenty years as backing musicians, were now carving out a career performing cockney novelty songs. Actually I wasn’t surprised; I was gobsmacked, particularly after hearing the album’s second song, “Billy Tyler”, a Hodges/Peacock country original. I loved the song from the first time I heard it and I still love it now. I know Dean Owens will probably disagree with me here, but I think it’s the best song they ever wrote. And those are only the first two songs on the album. “Are you Wasting my Time” is a tasteful cover of the Louvin Brothers classic with Albert Lee taking lead vocal and harmonies alongside Ricky Scaggs. “Now and Then It’s Gonna Rain”, with backing from Chas and Dave, is a country/rock song which hints at earlier Eagles material and side one closes with the beautiful Rodney Crowell ballad “On a Real Good Night”. The side two opener is “Setting me Up”, a riff-based country/rock song written by the relatively unknown (in 1979) Mark Knopfler which is followed by another Rodney Crowell song “Ain’t Living Long like This”, a shuffle with a hint of the Buster Brown classic, “Fannie Mae”. The album’s title song is another ballad, written by Steven Rhymer (what a great name for a songwriter) and featuring backing vocals from Don Everly. The album closes out with the slow rocker, “Hotel Love”, and “Come up and See Me Any Time”, another Chas and Dave song featuring the dynamic duo themselves on piano and bass. The album’s a classic because Albert Lee does all the things he does best; he plays guitar, sings lead and harmony vocals and chooses some tremendous songs and players to help him display these talents. There’s only one writing credit for him on “Hiding” but his interpretations of songs by other writers are arranged and played to perfection. You can hear suggestions of other artists including Iain Matthews (another wonderful interpreter of songs) and Eric Clapton but the overall sound is pure Albert Lee. I guess it’s not difficult to see why it wasn’t a hit in the UK in 1979 as post-punk took over from punk, but it has aged very well over the thirty-five years since its release. Even if you don’t normally follow links these articles, have a look at the live performance of “Country Boy” with Vince Gill. It’s not just about the great playing; the audience love it and you can see that the band loves it too. Give it a listen. Normally, Closet Classics would feature an album but I think this song deserves its own CC feature. “The Wild Side of Life” is a classic country song, which alienates most of the music snobs instantly. It’s great to see that country has finally become accessible, songwriters in the UK are admitting to being influenced by it and it’s hard to believe now that for decades the genre was seen as a bad joke. This song played a huge part in my childhood. Country music has always been popular in Scotland. I’ve got a few theories about that, but I’m sure the sociologists and musicologists can give you much better-researched explanations; here’s a personal perspective. In 60s and 70s Scotland there was a great tradition of families and friends gathering (usually after the pubs closed, which was 10 o’clock in those days) to sing songs and tell jokes, and maybe have a wee dram or two. Most of the songs were country: “Crying Time”, “Please Help Me I’m Falling”, “From a Jack to a King”, “He’ll Have to Go” and the occasional standard like “Summertime”. Everyone had their own song which they performed at every session. I’m guessing that they picked up those songs from American Forces Network (AFN) radio, American military bases and artists playing in working men’s and ex-servicemen’s clubs. However they did it, they learned those songs and passed them on in the age-old oral tradition. A lot of those songs made it on to the club circuit because you didn’t have to be a great guitar player to do passable job of supporting your voice with a few chords on an acoustic guitar to sell a good song; depending on your vocal range, you could get by with C, F and G at a push. Some combinations of those letters might have even helped you with hecklers. So why “The Wild Side of Life”? Really simple, it was one of my grandad’s songs and he could really sing (and he fought in a world war, got shot, went to New York, and won a Fife Junior Cup football medal as well); when you grow up hearing a great song delivered with feeling by someone with a good voice, then it’s going to stick for life. And you’ve probably guessed that there was a bit of hero-worship in there as well. So the song was stuck in my consciousness and it wasn’t going away and, although the early 70s seemed to be a country-free zone on the surface (apart from the schlock that made the UK charts), my favourite singers and songwriters (Neil Young and Jackson Browne, for example) were heavily influenced by country singers; Neil Young even covered “Oh, Lonesome Me”. Towards the end of the 70s, it became acceptable to like “The Wild Side of Life” when it was covered by such rock tastemakers as Status Quo and Rod Stewart, but I was there way before all of those denim boys and feather cut fancy dans because I loved the original. 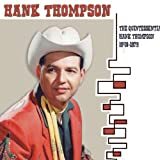 The classic version of the song, for me anyway, is the 1952 version by Hank Thompson, whose plaintive vocal perfectly matches the theme of loss in the song, but there are dozens of others by country artists before you even start to look at pop covers. The song even generated one of the earliest answer songs in Kitty Wells’ “Wasn’t God Who Made Honky Tonk Angels”, which was also a No. 1 in 1952. As the 70s morphed into the 80s, more country acts crossed over into the mainstream and artists like Carlene Carter, Rodney Crowell and Rosanne Cash along with the bad boys like Willie Nelson and Merle Haggard. Even angry young man Elvis Costello did an album of country covers and it was ok to admit that you always loved country music. That should have been the end of the story, but there was still another twist. When I moved to London and worked with people whose parents came to the UK from the Caribbean, I discovered that they grew up listening to the same music that I had listened to as a kid in a Fife mining village. Now, that was a weird sensation; discovering a completely unsuspected common musical heritage with friends from a completely different background and maybe that says something about music being able to break down all sorts of barriers. Of course, the whole idea of country being big in the Caribbean in the 50s is old news now that Trevor Nelson has spoken about it, but it came as quite a shock at the time. As for the song, well, whenever I pick up a guitar and start playing, it usually manages to poke its head in there and it’s a challenge to try to find a musical style you can’t fit it into. And it’s such a great song that it can make a mediocre player and singer sound reasonable. What more do you want?